*The result of your recent file transaction will be displayed on top portion of the page. The e-Pin sold will also be displayed on the “Your Recent Sale Transaction” box. Buyer receives a confirmation of item purchased from LoadCentral. *There are times when an Epin sold is not sent to the customer’s mobile phone due to poor signal or some technical problems encountered at the time of purchase. We can let the system resend the last epin that was sold. This action does not deduct anything from the retailer’s wallet load since we are just resending the last epin that was already sold. Simply enter the customer’s mobile phone number and click on the “Submit” button to resend the customer’s last bought ePIN. *Retailers can also generate a detailed report of their sales transactions and earnings within a certain date using the webtool. They can choose a start and end date to further filter out the report. No SMS cost since transaction is via web interface. 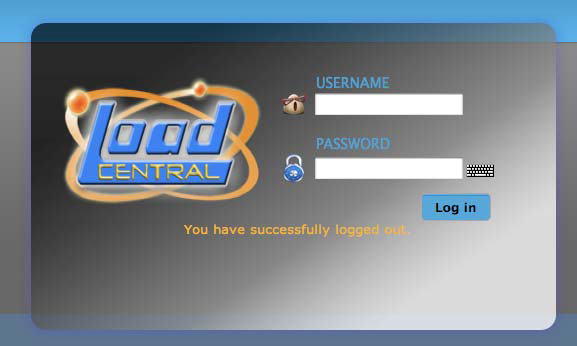 Faster and more efficient since it by-passes LoadCentral’s access SMS numbers. The details of the e-PIN that was just sold are displayed on the PC monitor. 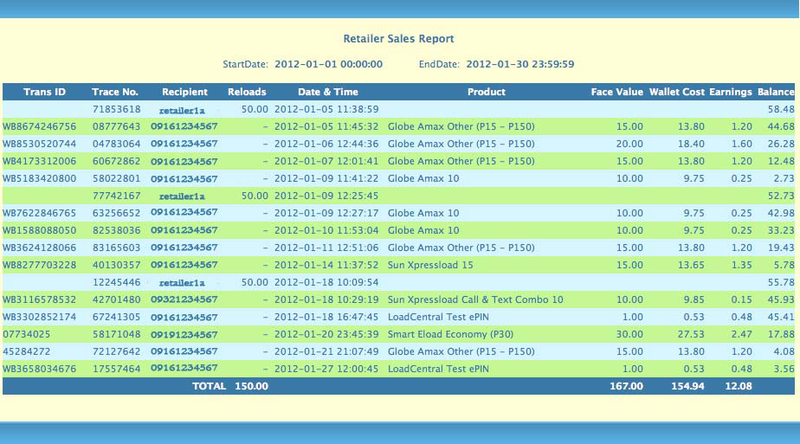 A Retailer can generate a detailed report of his sales transactions and earnings. A retailer can do advance selling of e-PIN to himself for fast-movers. A retailer can sell a maximum of 10 e-PINs of the same product denomination per transaction. A retailer can opt to log in and sell eload from a static IP address only which offers security for the retailer. In the absence of a static IP address, the retailer can use the web lock feature of the system.